Catullus, who lived during some of the most interesting and tumultuous years of the late Roman Republic, spent his short but intense life (?84-54 B.C.E.) in high Roman society, rubbing shoulders with various cultural and political luminaries, including Caesar, Cicero, and Pompey. 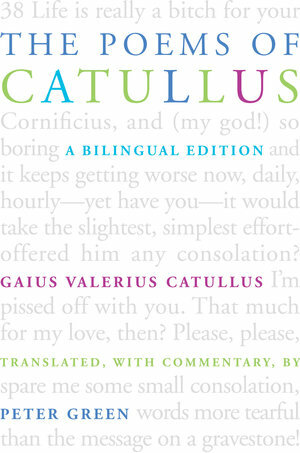 Catullus's poetry is by turns ribald, lyric, romantic, satirical; sometimes obscene and always intelligent, it offers us vivid pictures of the poet's friends, enemies, and lovers. The verses to his friends are bitchy, funny, and affectionate; those to his enemies are often wonderfully nasty. Many poems brilliantly evoke his passionate affair with Lesbia, often identified as Clodia Metelli, a femme fatale ten years his senior and the smart, adulterous wife of an arrogant aristocrat. Cicero later claimed she poisoned her husband. 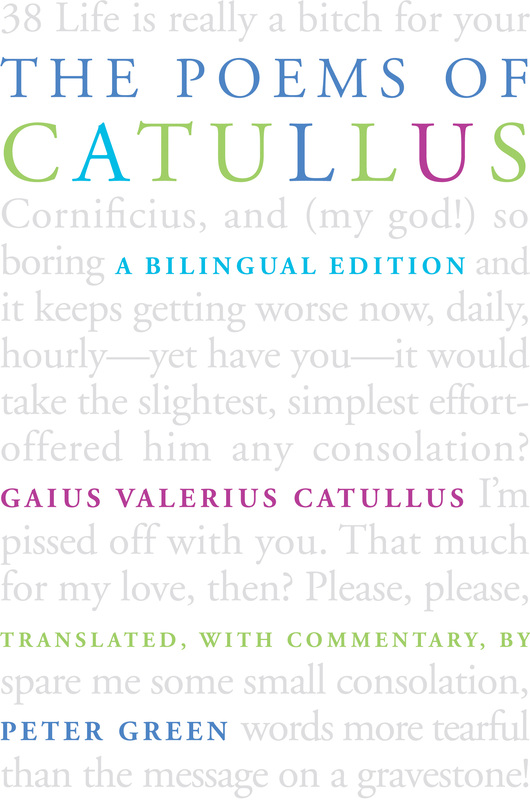 This new bilingual translation of Catullus's surviving poems by Peter Green is fresh, bawdy, and utterly engaging. Unlike its predecessors, it adheres to the principle that the rhythm of a poem, whether familiar or not, is among the most crucial elements for its full appreciation. Green provides an essay on the poet's life and literary background, a historical sketch of the politically fraught late Roman Republic in which Catullus lived, copious notes on the poems, a wide-ranging bibliography for further reading, and a full glossary.